The Swiss Ramble: When Will The Premier League Bubble Burst? When Will The Premier League Bubble Burst? So England have crashed out of the World Cup, the so-called “golden generation” once again failing to perform on the grand stage. Although England might have found a little form when beating Slovenia, it’s fair to say that the national team has been struggling for almost the entire length of its miserable stay in South Africa with the woeful display against Algeria being one of the worst in living memory and the defeat against Germany the worst-ever at the World Cup. 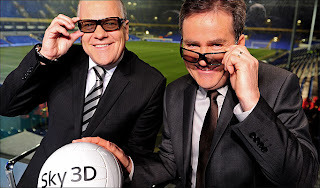 Never mind, at least English fans can comfort themselves with the thought that they will soon be watching the Premier League again – and that’s the “best league in the world” (copyright Sky Sports’ imbecilic front man Richard Keys). Or is it? While this is a debate that can never be won on football grounds, it should be rather more straightforward from a financial perspective and, happily for us, the Deloitte Annual Review of Football Finance provides the comparatives. Even though Germany’s Bundesliga is now more profitable than the Premier League with operating profits of €172 million against €93 million, this is partly due to Sterling’s deterioration against the Euro. Moreover, the combined revenue of the clubs in the Premier League of €2,326 million is still miles higher than all other football leagues: Bundesliga €1,575 million, La Liga €1,501 million and Serie A €1,494 million. Despite these apparent riches, there is a growing feeling that the good times in the Premier League are coming to an end. The concern is that football is not immune to market forces, where every boom market is inevitably followed by a bust. However, despite operating in the harshest economic climate, the Premier League bubble defiantly refuses to burst. The reason that football has not been as badly affected as other industries is down to its enduring appeal. The reality is that people love football and will spend considerable sums to follow their team, be that through attending matches, watching them on television or buying the club’s merchandise. Live football continues to attract large audiences on television and this is especially true of Premier League football, whose frenetic style appeals in this media age of low attention span. The Premier League’s business model is simple, but highly effective. According to their own annual report, they aim to “monetise the global interest in the Premier League and distribute revenue equitably and responsibly”, which essentially means exploiting their broadcasting rights. 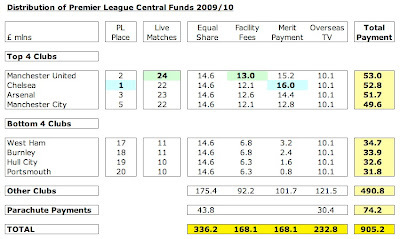 In order to achieve this aim, the 20 member clubs formed a company called The Football Association Premier League Limited, so when we talk about Premier League financials we have to be careful to distinguish between the clubs’ aggregate revenue (the Deloitte analysis above) and the revenue of the Premier League company, which excludes streams like match day revenue, clubs’ commercial revenue and TV money from the Champions League. Looking at the accounts of the FA Premier League Limited, there is no sign of the gravy train slowing down. Far from it, as the company’s turnover exceeded £1 billion for the first time in its 17-season history. The 2009 accounts cover the second year of a three-year cycle of broadcasting and other commercial rights and the 6% rise in income is in line with the underlying agreements. Indeed, the turnover has grown by a very impressive 70% in the last four years, which has helped drive the Premier League’s winning cycle: revenue growth, recruitment of the best players (though La Liga might take exception to that), top quality football and further revenue growth. Of course, one thing, and one thing alone, has driven the Premier League’s success: television - or, more specifically, television money. You might almost say that the Sky’s the limit. Right off the bat, television played a significant role in the Premier League, as money from TV rights was behind its creation in 1992 when the top clubs broke away from the Football League and it continues to be the driving force in its growth (and priorities). Broadcasting revenue is now the biggest element of revenue at Premier League clubs, contributing almost half of their turnover (49%). This is much needed when you consider that match day revenue growth has effectively stalled (up only 2% in 2009), while commercial revenue is also starting to feel the effects of the recession and actually fell 1% last year. The Premier League’s chief executive, Richard Scudamore, emphasised television’s importance, “The continued investment in playing talent and facilities made by the clubs is largely down to the revenue generated through the sale of our broadcast rights.” There’s that virtuous circle again, even though the figures show that most of that lovely TV money actually goes straight into the players’ bank accounts. 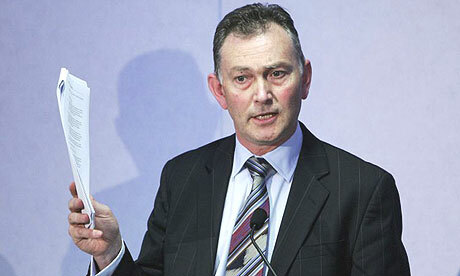 OK, Scudamore might be an arrogant blowhard, but boy does he know how to secure a great TV rights deal. The growth in payments secured for the Premier League TV rights has been nothing short of astonishing from the initial £304 million 5-year deal in 1992 to the £3.6 billion total payments (according to Deloitte) that commence next season. To make that spectacular progress even clearer: on a season basis, the original deal was worth £60 million, while the latest brings in £1.2 billion. Even when the European Commission tried to loosen Sky’s grip in 2006, the Premier League still managed to secure a 67% increase in the domestic deal to £1.7 billion. And recently, in the midst of the worst recession for decades, the latest deal still produced a 5% increase to £1.8 billion, though this may be due to Sky outbidding Setanta in a desire to put them in their place, ensuring they were only allocated one package, which effectively drove them out of business. This really is an impressive performance for the Premier League’s wheeler-dealers, but there is a growing awareness that the home market is nearing saturation, hence the mounting focus on overseas rights. If you think that the increase in the price paid for domestic rights is striking, get a load of the growth in the overseas market. Every time the rights are re-negotiated, the fees more or less double with the latest agreement generating £1.4 billion compared to £625 million in the previous three-year cycle and £325 million the time before that. That deserves some kind of award and Her Majesty duly obliged by giving the Premier League the Queen’s Award for Enterprise. 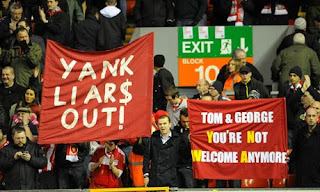 "Scudamore - I have in my hand a piece of paper"
In fact, the extraordinary globalisation of the Premier League could make English football the first world sport to earn more money from supporters abroad than at home. Foreign rights already account for 44% of the total and it would be no surprise if they overtook domestic rights in the future. Scudamore boasted, “By focusing on the quality of the game, their players and their grounds, the clubs have produced a competition that people want to watch – both at matches and at home.” You can say that again: the Premier League is currently broadcast over 211 territories to more than 500 million homes. As Scudamore says, “Ask people anywhere in the world what they know about Britain and they’ll name the Queen, the BBC and Premier League football.” OK, the Scots and the Welsh might quibble about the reference to Britain, but we get the point. The overseas rights are marketed to a balanced combination of long-term relationships, such as Fox, ESPN, Canal+ and Sky (in Germany and Italy), and an array of new partners. Revenue increases have been remarkable in the Middle East and Asia, where interest has been bolstered by teams taking part in pre-season tours, including the Premier League Asia Trophy, which has been hosted in Malaysia, Thailand, Hong Kong and China. However, there are a couple of downsides to this expansion overseas. First, it makes it more likely that kick-off times will be changed to suit fans abroad, so we can expect more lunchtime matches that can be screened during the evening in the Far East. It doesn’t just hurt the UK market either, as local football in many countries around the world has suffered, due to fans preferring to watch the Premier League on television. "Richard Keys - the unacceptable face of television"
In addition to the main TV rights, there are other sources of revenue. The BBC pays £172 million for the right to show highlights on that hoary old stalwart, Match of the Day, while Sky and BT pay £84 million for the “near live” rights (matches broadcast in full, but delayed). There is also some diversified revenue from new media, though in truth the surface has barely been scratched with only a few million received for screening highlights online (Yahoo!, previously Virgin Media) and mobile phones (ESPN, previously Sky). It is easy to understand why television is important to the Premier League, but why is football good business for television? Intuitively we understand that football attracts viewers, but if you look at Sky’s subscriber figures, it becomes very evident why football is central to their business model. Of the satellite company’s nine million customers, around five million of them pay for the sports package, earning Sky some £2.5 billion a year. On top of that, pubs pay Sky huge sums for licences to show matches, bringing in a total of nearly £3 billion a season. Admittedly, the sports package contains more than just football, but the Premier League is the jewel in the crown, so must be responsible for most of that business. The latest Premier League rights cost Sky £541 million a season, but there is clearly still a lot of profit margin there. "Remind me again - who's the sponsor?" So the Premier League continues to coin it from selling rights, but it essentially distributes all the money it generates, meaning that it retains no profit. The vast majority of this distribution is given to the Premier League clubs. 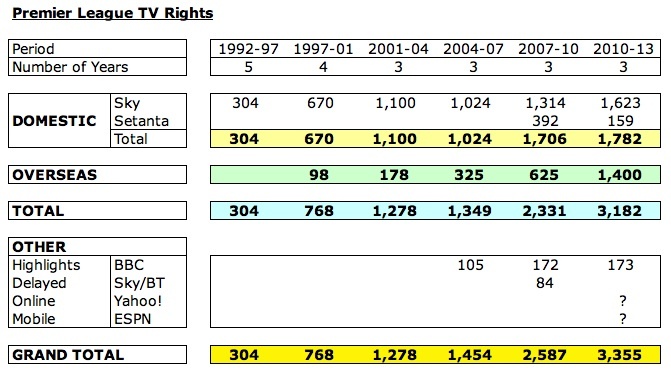 Half of the money from domestic rights is split equally between the 20 clubs; 25% is paid in facility fees, based on how often a club is shown on TV (with each club guaranteed a minimum of ten appearances, maximum of 24); and 25% is paid in merit payments, determined by the club’s final league position. 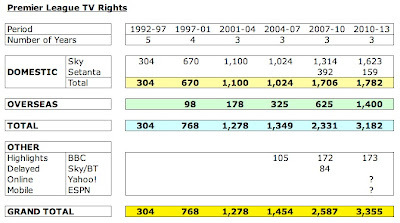 In addition, each club receives an equal share of overseas rights. 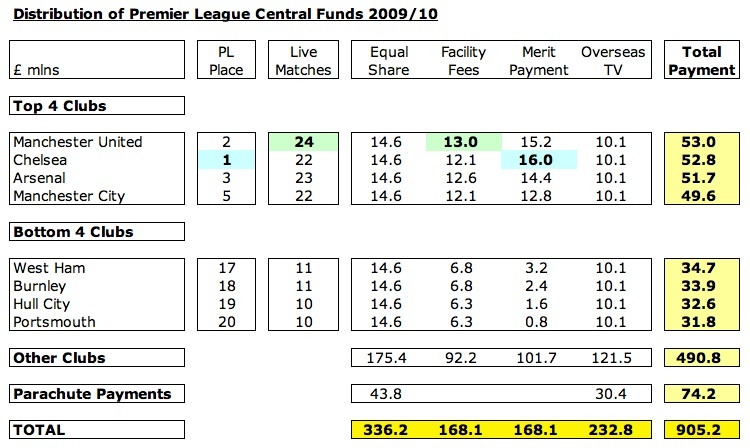 For the last season 2009/10, £905 million of central funds were distributed, including £74 million of parachute payments to those clubs relegated to the Championship. Each club got equal shares of £14.6 million from UK TV income and £10.1 million from overseas TV income. 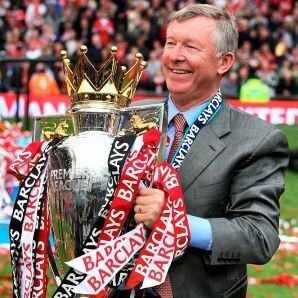 Manchester United ended up receiving more money (£53 million) than the Premier League winners Chelsea (£52.8 million), as they were shown on television more often, so received the highest facility fees (£13.0 million), while Chelsea obviously got the highest merit payment of £16 million, compared to bottom club Portsmouth’s £0.8 million. In fact, each place in the league is worth and additional £800,000, so mid-table teams do have something to play for at the end of the season. This all means that the top earning club (Manchester United) received £53 million, while the bottom earning club Portsmouth still received a very healthy £31.8 million. The Premier League make great play of the fact that their distribution formula is the most equitable of all Europe’s major football leagues, due to the collective selling of the rights, citing the ratio between bottom and top clubs of just 1:1.67. This is considerably lower than La Liga’s 1:14, as TV rights are sold on an individual basis in Spain. In particular, the Premier League suggests that equal allocation of the growing overseas rights will make the tournament more competitive. However, others disagree, arguing that this merely begs the question of whether this egalitarian approach should not also apply to the domestic rights. The current UK system is weighted in favour of clubs whose games are broadcast live more often, which naturally means the bigger clubs. This gap is widened further when Champions League television money is taken into consideration, so in 2008/09 Manchester United earned a total of £84.1 million, nearly three times Portsmouth’s money. The financials also explain why clubs don’t really take the FA Cup seriously these days, as the winners only receive a paltry £3.8 million. On the other hand, clubs with a major global fan base like Manchester United and Liverpool might start agitating for a higher share of the overseas rights, as it is difficult to see how much interest a match between, say, Burnley and Bolton Wanderers would hold in Asia. So far, everyone has followed the party line. 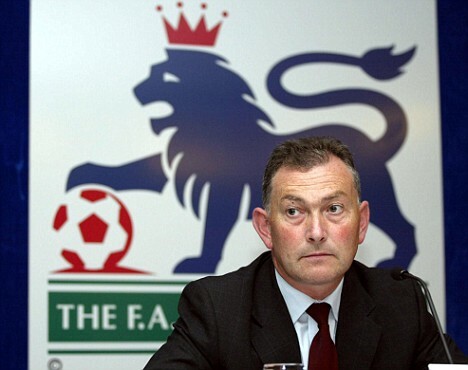 As Scudamore said, with more than a hint of complacency, “So long as the overall amount is going up, we don’t get too many complaints.” Not so much the beautiful game as the bountiful game then. Indeed, the central payments will rise again next year by about a third, as the new TV deals take effect, which means that even the club finishing last will receive an incredible £40 million. No wonder clubs stretch themselves to the financial limit to get into the Premier League, as the size of the prize is so enormous. In fact, the winners of the Championship play-off final should gain at least £95 million, even if they are immediately relegated the following season. First, £40 million for coming last, then £48 million parachute payments spread over four years (£16 million in each of the first two years and £8 million in years three and four) plus at least £7 million additional income from ticket sales, sponsorship deals and other commercial earnings. To be fair, the Premier League also distributes a fair bit of money down through the football pyramid, including £43 million allocated to grass-roots facilities (Professional Footballer’s Association £17 million, Football Foundation £15 million, Creating Chances programme £8 million, Professional Game Match Officials £2.5 million and League Managers’ Association £0.5 million) and £18 million for developmental support to the Football League, though this only represents 6% of turnover. In contrast, the Premier League should be praised for their very low administrative expenses, which represent less than 1.5% of turnover, but even here I cannot help noticing that the highest paid director, presumably Scudamore, has not done too badly, receiving over £1.5 million last year, including a £750,000 bonus in respect of broadcasting agreements. "Everybody's happy nowadays - not"
However, not everything is rosy in the Premier League’s garden and there are flaws in the business model. Even Deloitte has dared to bite the hand that feeds and pointed out the “imbalance between revenue and costs”. In fact, 14 of the 20 clubs in the Premier League are running at a loss and combined operating profits fell to £79 million last year, the lowest since 2000, mainly due to rampant wage inflation with the crucial wages to turnover increasing to 67% - a record high. Despite the booming television revenue, the combined net debt has also climbed to an unwanted record of £3.3 billion. It’s as if clubs have treated the TV money as some sort of interest-free loan. The other worrying factor is that attendances have fallen two seasons in a row, even though grounds are still more than 90% full. Nevertheless, the Premier League has not completely stuck its head in the sand and launched a strategic review of its business model back in November 2008, though it will only provide recommendations in December 2010, which may just be “more of the same”. Proposals to date include the infamous 39th game, which would have meant ten additional games played around the world, but this was soon shot down as a blatant money-making attempt, which would have destroyed the competition’s integrity and denied local supporters the possibility of seeing the game live (at least at the stadium). Next up was the idea of introducing a play-off for England’s fourth Champions League place, featuring the teams finishing in fourth to seventh positions. Although you could argue that this would increase the chances of a team outside the “Sky Four” qualifying for the Champions League, this has again been put on the back-burner, mainly due to the fixture congestion that would arise, but also because it might “damage the product”, the last from David Gold, West Ham’s joint chairman (and full-time rent-a-quote). 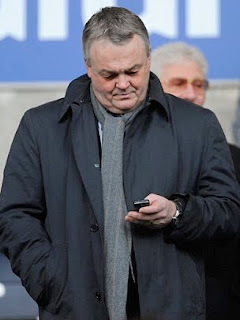 Finally, another chairman, Bolton’s Phil Gartside, proposed a two-tier Premier League structure, consisting of 18 clubs in each, in an attempt to protect his club from relegation, sorry, to increase competition, but this has also been parked to one side. In any case, you could argue that the increased parachute payments are effectively creating this format by stealth. Big Phil’s other great idea of inviting Scotland’s Celtic and Rangers to join a reformed Premier League has been flatly rejected. "Any more bright ideas, Phil?" (a) Customers. TV channels are not immune from the recession and Setanta went bankrupt last year. Although this in itself has not proved problematic, as ESPN snapped up the TV rights relinquished by Setanta, if Sky were to hit financial difficulties this would be extremely serious. This may not seem likely, but it is not out of the realms of possibility. For example, Mediapro, the company that owns the TV rights in Spain for La Liga, last week applied for bankruptcy protection. (b) Competition. Although the Premier League is the undisputed leader in terms of global popularity, that could change if more of football’s top stars decide to move to another league like La Liga, e.g. Cristiano Ronaldo to Real Madrid, when the “product” would be devalued. There is some evidence that fans in emerging markets attach themselves more to individual players than teams. (c) Regulatory. Media watchdog Ofcom has already ordered Sky, the Premier League’s main television partner, to give rival broadcasters cheaper access to its exclusive rights (maybe by up to a third), which may in turn lead to Sky paying lower prices for those rights. Although one Premier League insider initially dismissed the ruling, “It’s true that sport has benefited from Sky’s investment, but we are not shy of taking other people’s money either”, this has serious implications for their business model, which is why they have decided to take legal action in order to overturn Ofcom’s decision. Did you get that? The Premier League, not Sky, is launching proceedings – they truly are “partners in crime”. As usual, they dressed this up as a noble gesture, “the consequences for UK sport and UK sports fans are too serious and fundamental for us to ignore”, but their motives are fairly transparent. "Not even Des could save Setanta"
(d) Technology. Illegal streams of football matches have become very widespread on the internet, so much so that a report compiled for sports rights owners last year concluded that “digital piracy is one of the most important threats today.” However, instead of thinking outside the box (in both senses of the word) and embracing the new technology, the Premier League has responded to this danger in the same way as the music industry – by employing a company to protect their rights online and issuing lawsuits. Broadband is not yet universally available and the quality of the streams is patchy, but younger fans’ viewing habits are definitely changing, so the Premier League should adopt a more progressive attitude to this profound change, instead of throwing all its eggs into television’s basket. So what would happen if the TV money were to fall? Obviously the funds distributed to Premier League clubs would also be reduced, which would impact all teams, but those at the lower end of the league table would suffer the most, as a far larger proportion of their total revenue is dependent on broadcasting income, e.g. Blackburn Rovers “earn” 70% of their revenue from TV, compared to only 35% at Manchester United. Deprived of this easy money, clubs would have to cut their coat with the cloth available, i.e. reduce their costs. In practice, this means lowering wages, which seems unthinkable given current behaviour, but could be achieved if all clubs acted collectively (as they do on securing the TV rights). The Bundesliga chief executive, Christian Seifert, has argued, “The Bundesliga pays less then 50% of turnover in players' wages. I'm absolutely sure a league can reduce wages. If all the clubs said: 'OK, we reduce wages by 10%,' maybe you will have some players who would leave for Spain or Italy, but 99% will say: 'OK, still I make a hell of a lot of money’” Indeed, Football League Two has already demonstrated that this is possible in England by implementing a wage cap. "Sky - even better in 3D"
Unfortunately, the other possibility is that clubs would strive to compensate any TV shortfall by increasing their revenue in other areas, which could mean asking fans to pay higher ticket prices. Alternatively, they could pull their finger out in the commercial area and build their revenues to the same level as their continental counterparts. The Premier League’s chief executive, Richard Scudamore, remains supremely unbothered, “People said we were a bubble going to burst. They said it eight years ago, six years ago, four years ago. From all the indicators we've got, we don't think interest is lessening.” That may well be true, but the alarm bells are ringing and, as the song says, there may be trouble ahead. The TV market should be opened out to more competition. I have cancelled my Sky subscription because I object to paying a global monthly figure for channels I never watch. I would happily pay per match via my computer if necessary as long as the quality is good and the price is reasonable. There's always so much personality in your writing and your "visual aids" also expresses the absurdity in football and business very well. Not to mention the core content deliver as much "serious" information as a university level business case study without all its formalities/sucking up/boredom. I thought the EPL didn't invest much money in domestic football development judging from England's horrible performance in the World Cup. Maybe there has to be a more direct incentive system rewarding clubs that develop England national talent. 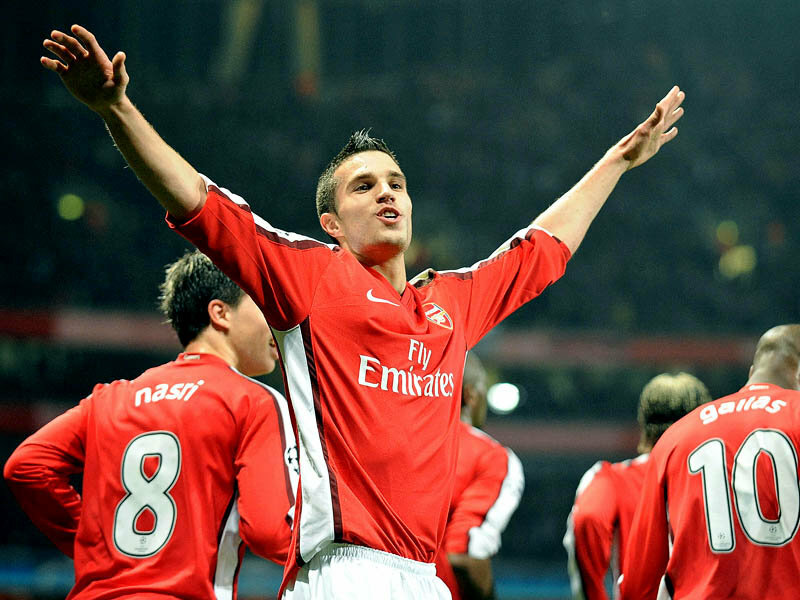 Say Birmingham City found a prospect and Arsenal developed him into an international player. The EPL would give monetary rewards to Birmingham for their involvement in his early development and to Arsenal for his continued maturity into an international player. I think England's success in international tournaments would have a positive influence for the Premier League. It's like a month-long, HIGH exposure marketing of best English players playing in "the best league in the world". The EPL should really be more actively involved in this. Then again the EPL would probably saddle that responsibility to the FA, which probably has a lot less money. Is the FA going to be your next piece? Thanks again! The EPL is absolutely not set up to help the English national team. Until their objectives are aligned, I struggle to see how England's performances will improve. The FA are definitely poor relations and well worth a review. Again a piece of exceptional quality and insight yet couched in terms we can all understand. Bravo! I find reports of the death of the EPL seem to be exaggerated. There are various caveats relating to the position at the top of world football, but ultimately the overseas market for football as a whole is almost entirely unexploited at this point. The Premier League may be the first country where overseas tv rights overtake domestic revenues, but they certainly won't be the last. We're talking about an entertainment business that attracts more viewers than a once-a-decade Hollywood blockbuster - and does it repeatedly, week in, week out. £2 billion per season is a pittance. I won't be surprised if it increases in line with the 20x multiplier over twenty years that domestic revenues have seen in the last two decades. This is also why I see no problems for the Glazers at Man U - they have seen television revenue more than double since they took over. Even Hicks and Gillett will do OK if they manage to keep the plates spinning another couple of years. 1) Why do Sky pay so much when they have such little competition? Whilst the margin on what Sky sport subscribers bring in vs the cost to the PL is high (though the Sky model cross subsidises across their content platform as a whole, so Uk football fans fund Sky Arts etc), Sky are not a charity, and they could pay an awful lot less. A theory here is that the UK broadcast rights are bundled with internet rights, and the premium Sky pay to the PL is to sit on those right are not really exploit them. This is because Sky are entrenched players, who always face new disruptive technology dilemmas. They know this better than most seeing as they too used new technology for content distribution to revolutionise their sector on the back of their commercial success. They know they're trapped as the last great provider of a broadcast age, when the future is personalised narrowcast. That's why they move into HD and 3D - they're the last throw of the broadcast dice, the way to keep ahead of the free competition on the net. If they'd have engaged with the net at the start, they'd have a chance, but their strategy is to put off the evil day, but they know they can't put it off forever. 2) The big disruption is the Karen Murphy decoder case (google that for details). In essence, a Portsmouth publican is asserting her right under the free movement of goods and services under EU law to buy a legitimately sold and bought subscription to the same content in another country. She can buy toilets from Greece, beer from Germany, food from Spain, but must buy the signal on the telly from England. This is a case about the very concept of national TV rights in the 21st century, and is of such significance that the UK Law Lords sent it straight to the European Court of Justice as they knew whoever lost would appeal there. If Murphy wins, then whilst the current deal will be safe, it will transform the broadcast market, but its hard to see what the net impact would be until the precise landscape is delivered by the judgement (ie, the flop of what happens next will be entirely determined by the text of the ruling). In one sense, it shouldn't be a necessary problem for the PL as a league; more bidders should up the price, but the next deal but one will have to deal with the increased competition from the Internet and this ruling completely transforming the TV industry on which the entire product (and club revenues) are based. Yes, indeed, these are fascinating issues and challenges for Sky. As with many other companies, technology and legal/regulatory risks are among the most important they face. Thanks for your informed comment. I believe there are some serious issues to be addressed in the Premier League indeed some much so I'm producing a film on the subject which you can watch the trailer for at http://www.facebook.com/ThePotemkinleague. The Film inspired a Daily Mail article on the subject and as always the Swiss Rambler is on song....great article. I looked at the trailer for your documentary. Very interesting - I would very much like to see the full version when it's complete. Hi, yes I'm a regular reader and have seen that article. Our director is Swiss, must be in the blood. PM me on mike@queuepolitey.com to discuss further. All is not as rosey in the garden at it may seem, indeed! I've heard that the Dutch league either fully or part owns and operates its own TV channel. The NFL has also started The NFL Network which shows a few live games. Perhaps the Premier League would consider doing the same if Sky were to pay significantly less. Would love to see a blog entry on how successful the Dutch TV channel is. How Can Bayern Munich Pay Franck Ribery So Much?